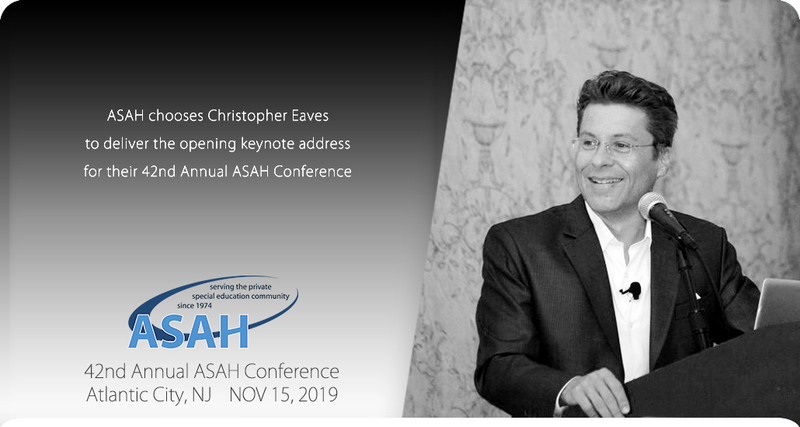 Christopher has been chosen to deliver the opening keynote address at the 42nd Annual ASAH Conference in Atlantic City, NJ on November 15, 2019. He's thrilled with this opportunity and is honored to have worked with ASAH and its educators since 2002. ASAH is a not-for-profit organization of private schools and agencies in New Jersey which provide highly specialized services to more than 11,000 infants, children and young adults with disabilities. The ASAH Conference provides Professional Development opportunities for these incredible educators. "Christopher Eaves was an amazing presenter who was extremely motivating, informative, kind, and fun - by far - my favorite workshop at ASAH." Learn more about ASAH at www.asah.org. 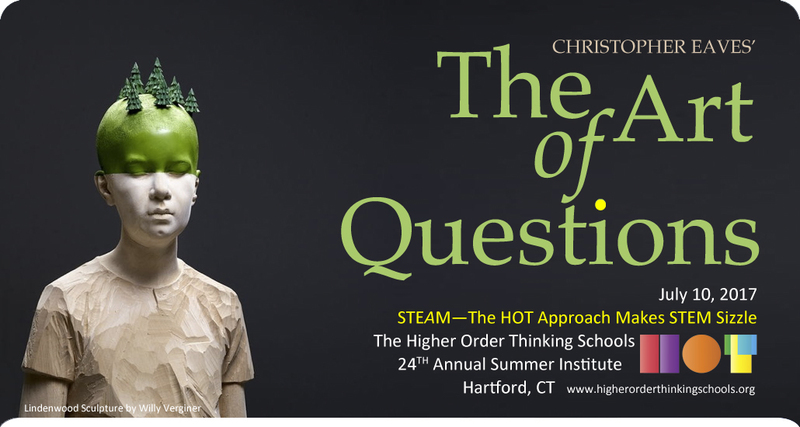 Christopher Eaves presented his keynote address The Art of Questions at The Higher Order Thinking Schools 24TH Annual Summer Institute on July 10, 2017. STEAM—The HOT Approach Makes STEM Sizzle was held at The Hartford Hilton, Hartford, Connecticut, July 10-14, 2017. Which questions are you listening for? Are you comfortable with more than one answer? With The Art of Questions Eaves provides a framework for educators, administrators and teaching artists to explore the integral role inquiry plays in scientific method, artistic process, development of critical thinking and cultivation of curiosity. During the five-day residential institute Eaves will also be faciliting a HOT 101 workshop and his four-day sequential learning track Multiple Intelligences—Multiple Solutions. Learn more about The Higher Order Thinking (HOT) Schools program at www.higherorderthinkingschools.org. BULLSEYE written, designed and performed by Christopher Eaves is a theatrical memoir on brotherhood, bullying, identity and intolerance. Eaves tells the story of his younger brother who was "the most bullied kid in school." BULLSEYE made its New York stage debut at Stage Left Studio’s Left Out Festival in April 2015 with two sold-out performances to benefit Bailey House. CANOPY—A RAINFOREST ODYSSEY written, designed and performed by Christopher Eaves premiered November 20, 2010 at Stepping Stones Museum, Norwalk, CT. 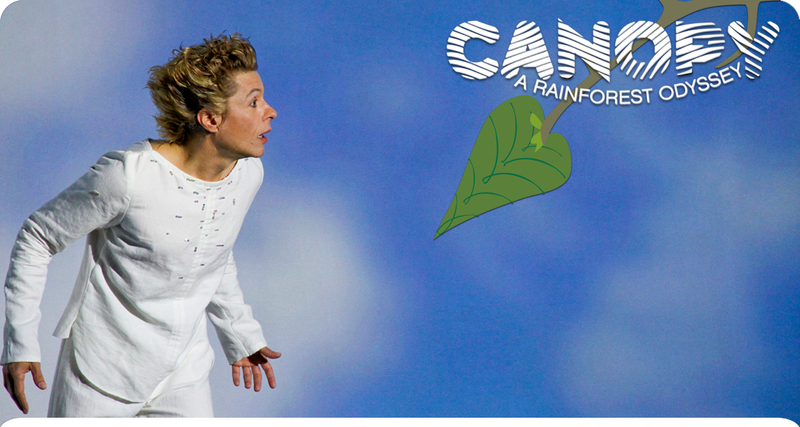 In celebration of the Museum's 10th anniversary and grand re-opening, following a 22,000 square foot expansion, Stepping Stones commissioned Eaves to write, design and perform a play about world rainforests that would fully utilize the Museum's newly opened State-of-the-art Multimedia gallery and also honor the Museum's philosophy of inquiry-based learning through play.